Achieving a Better Life Experience Act of 2013 or the ABLE Act amends the Internal Revenue Code to establish tax-exempt ABLE accounts to assist an individual with a disability in building savings to pay for qualified disability expenses, similar to a college savings account. It allows families to establish savings accounts to cover health care, employment support, housing, transportation, technology purchases and education for an adult with a disability without affecting their Social Security and Medicaid benefits. Read more at Congress.gov. 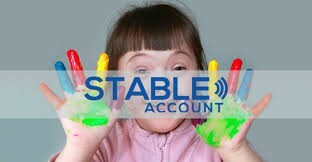 STABLE Accounts are now available in many states. You do not have to be a resident of the state to open an account with them.